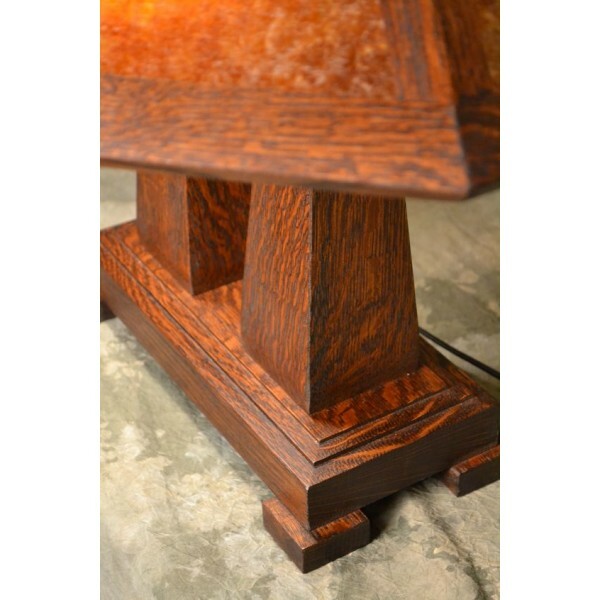 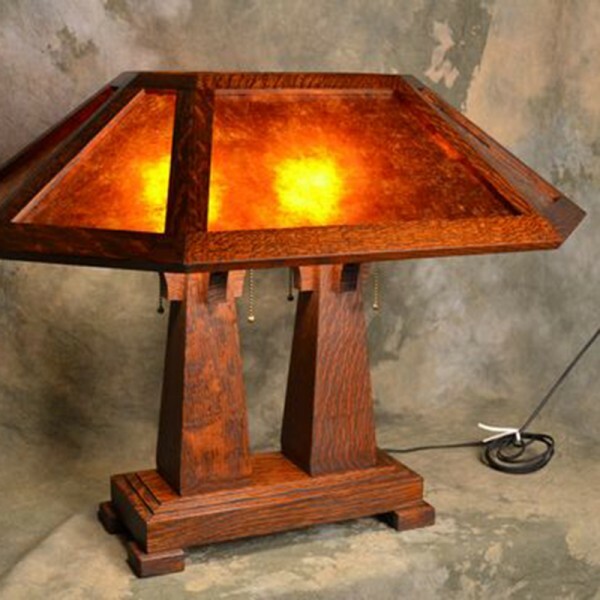 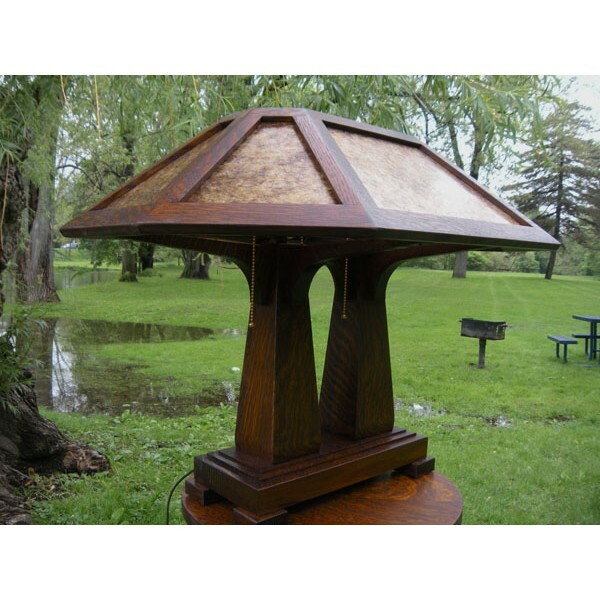 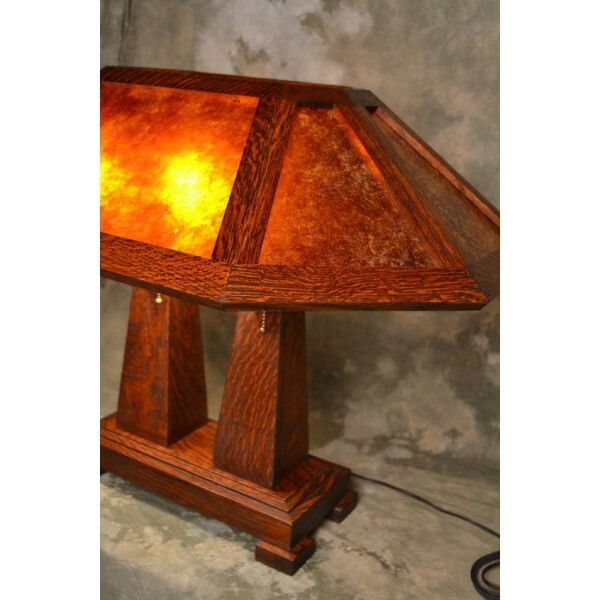 This Arts & Crafts Double Pedestal Table Lamp by Bungalow Craftsman can add drama and elegance to your rooms. 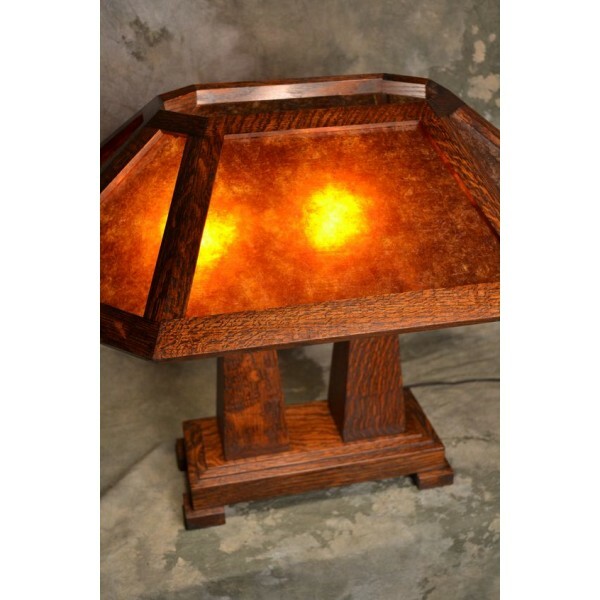 Different Bungalow Craftsman lighting effects and contributes to a warm atmosphere. 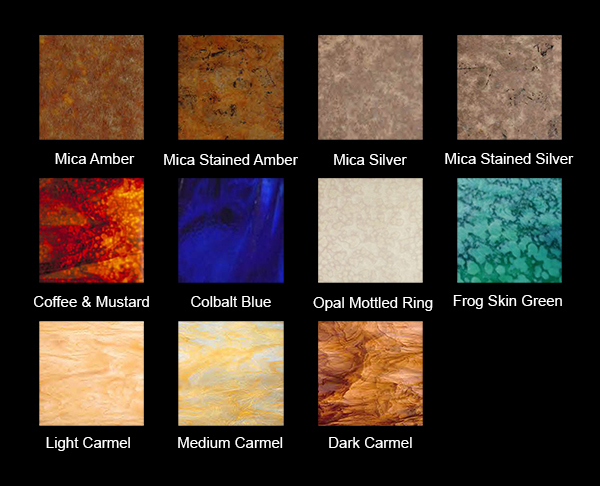 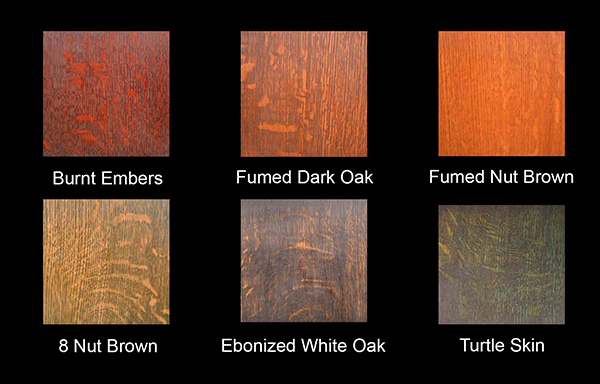 General or ambient mica or stained glass lenses will set the Bungalow mood; whether turned up bright or dimmed down low. 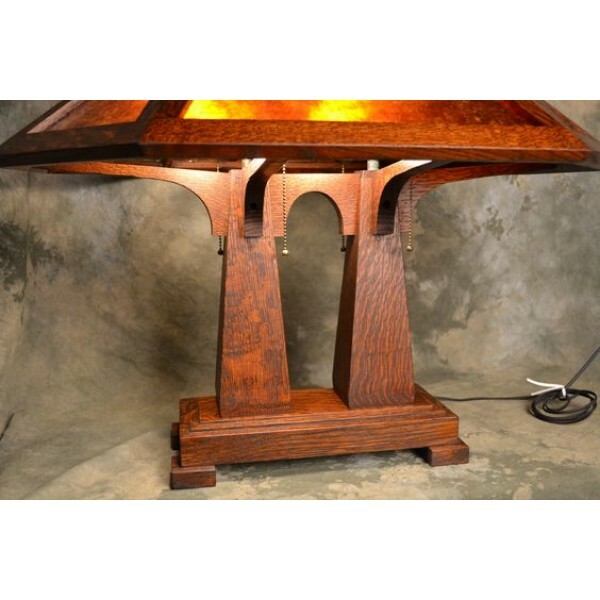 This Arts & Crafts Tall Table Lamp offers some great options; 6 different finishes, 11 different lenses and an optional metal oak leaf medallion.